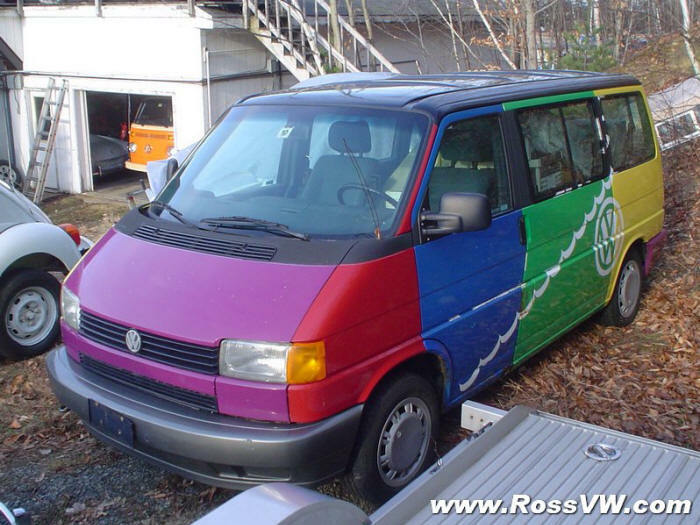 This 1993 VW Eurovan was one of two that Seacoast VW in Portsmouth, NH had painted with a Harlequin-Scheme exterior and used as customer shuttle / parts delivery vans over the years. Back in my days at UNH I had left word with them that when they decide to retire the vans, to let me know. 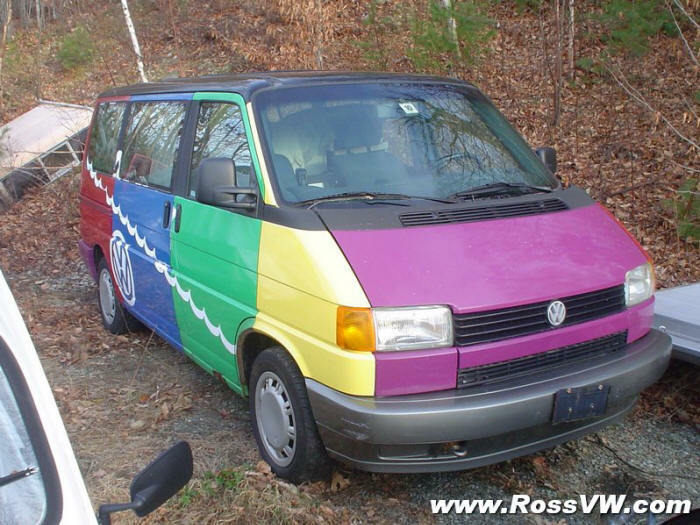 Well nearly 8 years later, I was at Seacoast VW for some service and saw the old van out back with the trade-ins. It had been out of comission for a year or so so I made an offer and towed the van home. Makes a great shed. The van has over 200K Miles, and I think it just needs a starter to get back on the road. Click here to go back.